Beverly was born in Afton Nova Scotia, in 1957 to a family of nine. Beverly is currently a Mi’kmaq mother of 6 and grandmother of 6; is currently living in Millbrook Nova Scotia with three of her children. 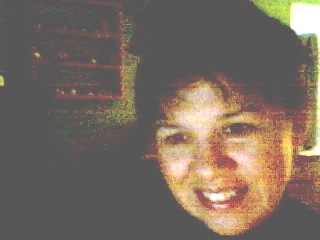 She completed her Bachelor of Arts at the University of Regina in 1997 and was active on both the university paper and native student association, becoming the first female president of University of Regina Indian Student Association. She completed her Bachelor of Education at the University of New Brunswick in 2010, and will return back in 2011 to complete her Masters of Education. Her passion and commitment lies with cultural and educational issues that pertain to youth and women. She has spoken at workshops on the topics of Holistic health, Traditional knowledge and Mi’kmaq Art History. She is a recognized artist and has taught art and Mi’kmaq culture in both Canada and USA. Was a featured artist in the “Every Woman’s Almanac”, Women’s Press, Toronto 1992. She has operated the organization Sweetgrass Arts Centre from her home for the last 24 years, doing workshops and demonstrations in both Canada and USA. Her beadwork and quillwork is in private collection by Loretta Lynn, Dr Marie Battiste, National Chief Betty Anne Lavalee to name but a few. She was a Board member of Nova Scotia Advisory Council of the Status of Women for the 2009-2011 term. I love this site . what a wonderful view of culturally relevant information for Mi’kmaq people. thanks beverly for this site .I will definitely be coming back. Thanks karen for dropping by the site .. glad to see that i am reaching some people out there . This is a very interesting site and you seem like a very interesting person! I’ve learned a lot. Thank you Mr Big .. God love you !! I am working on regalia information and would appreciate if you would contact me. Thanks, Stephanie Bernard. We’koqma’q First Nation. Hello Beverly…thank you for your cite! I have just discovered( at age 70) that I am Metis( Mi’Kmaq tribe of Gaspe).i am soooo thrilled!! I am therefore,looking to find outlets( or a METIS woman ) with experience in making traditional clothing that I can wear! Not t-shirts! I would like leggings,a vest with bead-work,shirt with side beads,sash,coat wrap etc…in short,I wNt to dress in my tribes clothing on an evey day basis…where do I find such an outlet or person…of course,I am willing to pay for such clothing.If you can assist,I am most grateful. ( Incidently,I also attended UNB ,as well as U of Ottawa,for degrees in Education and Criminal Justice… Was very active in women’s political issues including the Ad Hoc Committee if CAnadian Women on the Constitution during 1981-82 securing the Articles 33 and 35)…thank you for your attention to this request.